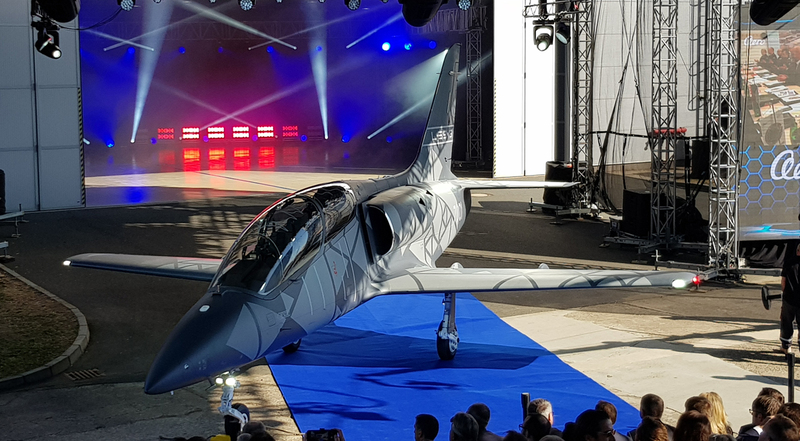 Aero Vodochody has rolled out the new L-39NG light attack/trainer aircraft, the first new type to be produced by the company since the introduction of the L-159 in 1997. In development since 2014, the aircraft benefits from a new Williams International FJ44-4M engine and Genesys Aerosystems avionics and is expected to begin a flight test campaign that will employ two aircraft by the end of the year, with certification targeted for the end of 2019. Senegal has already ordered four examples of the aircraft, and deliveries of the first two are expected in 2020, with the remaining two the following year. European aviation services provider SkyTech has also committed to 10 examples plus options for six more, while U.S.-based training provider RSW has made a so-called "soft commitment" to acquire 14, which will be a mix of the NG and the retrofitted version, the L-39CW. As an interim measure until the new aircraft could be ready, Aero Vodochody developed the CW concept that took the new engine and avionics of the NG and incorporated them into existing L-39C aircraft. This is still an option, Massimo Ghione, chief business officer for Aero Vodochody, told AIN, particularly as some existing operators of the L-39C are contending with budget constraints, although the company expects that more will ultimately opt for the NG. Ghione also noted that Aero is still offering customers the option to upgrade to the CW, then carry over the avionics and engine they have invested in to a new NG should they opt to purchase it at a later date, in turn spreading the cost of the upgrade. Aero has identified that there will be a demand for 3,000 aircraft of this category over the coming 15 years, and it is targeting both new and existing customers of the L-39. Out of some 3,000 L-39C examples produced, 600 are still in service with both military and civil operators. “It is simple, but it provides everything.” Ghione explained. “It really is a very effective aircraft.” There is a basic configuration for the NG, he added, but other options include a simulated threat injection into the helmet-mounted display that Elbit Systems provides. Ghione says the company is in discussions with as many as 24 existing operators regarding upgrade options, including the NG, and while a number of operators cannot afford the NG at present, there is also a leasing option in addition to the interim CW, which companies including SkyTech could help fulfill. I additon to the trainer role, the aircraft is being pitched as a light attack aircraft that can carry guided and unguided weapons. “Most African countries want an aircraft capable of doing everything, both training and combat,” Ghione said. Aero Vodochody has been vocal about its intentions to pitch its aircraft for the U.S. Air Force’s light attack requirement, and despite only turboprops currently being tested, the company is still providing information to the U.S. government on its offering. It had previously claimed it was open to offering either the NG or its other capability, the L-259, for the program, but Ghione said that it has identified that the L-39NG best fits the requirement.